So that's Bruce's old truck in the blasting booth? Will be cool to see that one resurrected. I daresay the episode where they reveal that will become a Bruce tribute episode, and will be a fan favourite for sure. Rasta Mike. I knew the yard, had no idea that was his! I don't know if I'm impressed at the collection, or disappointed in the colossal waste of iron just sitting there, slowly rotting away. Either way, I want to go spend a day just poking around taking pics. For those looking, I'm pretty sure Netflix has the first six seasons of HTH. No, they have only through Season 5 as of right now. I have been checking quite regularly for the season 6 episodes. THE WEATHER CHANNEL WILL BE AIRING SEASON 6 EP 1 AT 8PM EST THIS SUNDAY FEBRUARY 25TH!!! Not sure if it has been mentioned, but Netflix has HTH seasons 1-6 on it as well. Yes it has, and Netflix DOES NOT have Season 6 yet!!! This is a pic of my Netflix on my TV screen just a couple minutes ago. THE WEATHER CHANNEL WILL BE AIRING SEASON 6 STARTING SUNDAY FEBRUARY 25TH AT 8PM EST!!! 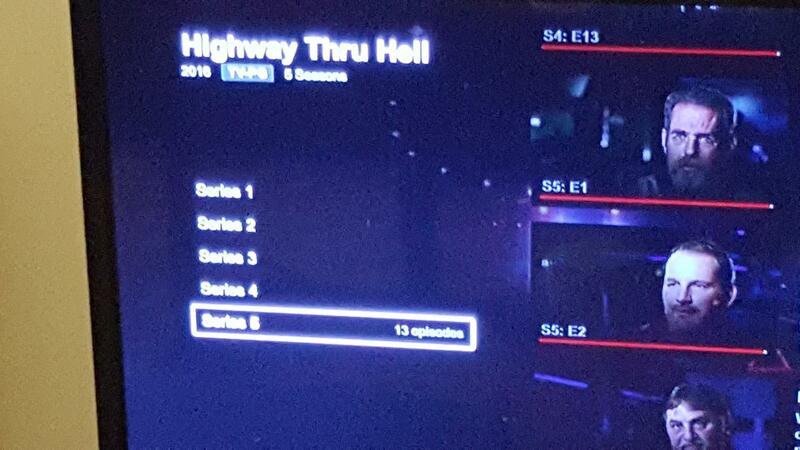 This is also a pic of my TV screen of the episodes through my cable box for the available for HTH that includes not only what is airing on TV but what is on demand and also for Netflix since I can get it through my cable box as well. 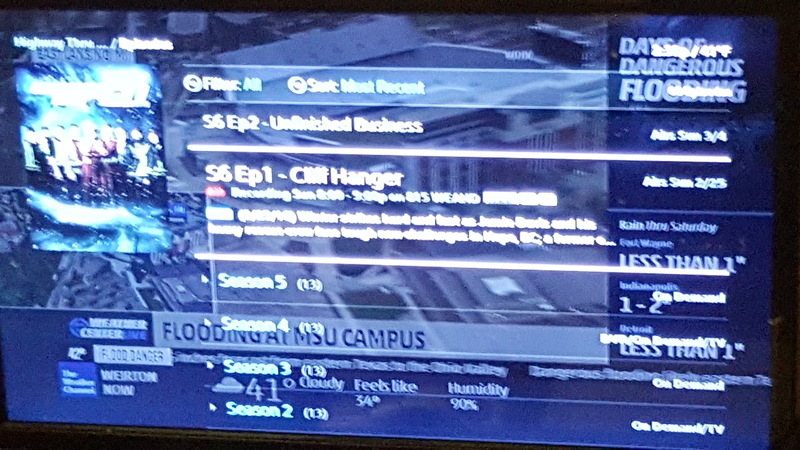 The only two episodes available for season 6 are those airing on the Weather Channel, which are also set for series record on my DVR. Okay, so it hasn't been added yet. I know there was 5 last time I watched, and thought I saw on a site that shows what's on Netflix that 6 was out too. It will for sure be on there around the time that season 7 airs. It really seems like only the really popular shows get DVD releases nowadays. Discovery was, and probably still is, bad about releasing DVDs. After the first few seasons of many of their shows, they either gave up on DVDs or decided to break up the seasons into "volumes". Hey,I'm getting mixed signals here. Does anyone know if season 6 is on Netflix? I think it is. Man I would be in heaven on Mike's property!!!!!! I wonder if this will appear on the show? It's good that nobody was hurt, but maybe you'll keep that in mind the next time you're taking pics or videos while driving. been driving that hiway since it opened over 30 yrs ago. I guess I just see it a little differently after spending 20 years as a professional driver, and cell phones have made my job even more dangerous than when I started driving. (except this ) on my way home tonite...passed this wrecker at the truck repair shop. the "Python" was at the Chilliwack yard today..
has a Holmes 1801, 45 ton hydraulic. already even in JD red...and remember, ya seen it here first! Not sure how old that picture is with all of Don's trucks, he does have a Western Star tri-dem rotator that is not in there, seen it in action a few times around the Loops, and also once at the Hot Nite in the City car show....heard through the grapevine that if they need to use it for a normal tow job (tractor/trailer), that they have to send a tandem to bring it across the scales because it is a wee bit heavy using the tridem!! The burgundy '56 on the flat deck belongs to a co-worker, the car is un-freakin real!!! He has owned the car for 30 plus years, big block 454, 8-71 blower, tilt front end, Foose rims.....it is worthy of ANY magazine cover for the bowtie fans, but was built for his personal enjoyment only! He has never entered it in a car show and no plans to do so, used only for summer.....when the sun is shining, heck, if there is water from some ones lawn on the road.....he will go around the block! The under carriage is just as nice as the top with lots of powder coat and chrome! *Speaking of Bruce...back when I was working for VSA, I came down the hill to the truck stop in Merritt for a fresh cup of coffee, when I seen this old guy at the till. I recognized him, but could not figure out from where.....I was racking my brain thinking of different guys who I worked with, different companies....still nothing. It wasn't until I was heading back up the hill that it dawned on me it was BRUCE.....lol, I could have got an autograph, a picture, or even a grumpy "go away"......but missed my chance!